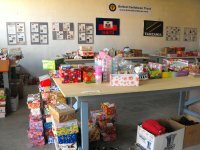 Special Treasures Foundation (STF) is the Haitian arm of United Caribbean Trust, a local Barbadian registered charity #842. 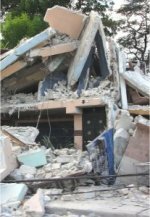 UCT Haiti is being registered in Haiti as a Charitable Organisation. STF has been established to improve the welfare of Haiti through community development and sustainable agriculture projects. STF will be participating in child and youth discipleship programmes within schools, churches and orphanages. 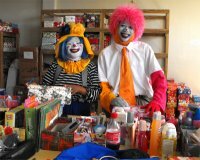 Establish commercial income generating enterprises to increase youth life skills and behavior change programs using Sports and Biblical application as well as making tremendous contribution towards economic development in the area. 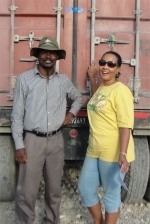 United Caribbean Trust has been working in Haiti for almost a decade. 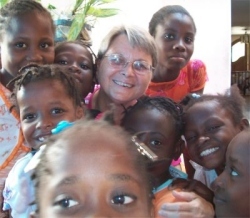 Jenny Tryhane, the Founder and Chairman, was in Haiti during the earthquake and remained there for three months to give assistance and distribution of the three 40 foot containers sponsored by UCT. 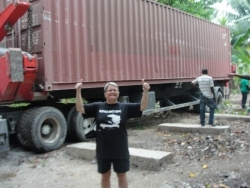 Jenny Tryhane then visited Haiti in January 2013 to clear one of three container and positioned this one in Les Cayes. 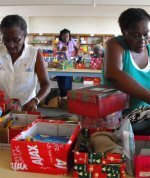 Barbados:Jenny Tryhane, founder and Chairman of United Caribbean Trust has been a friend of the children for many years as we launched the Make Jesus Smile shoebox project. 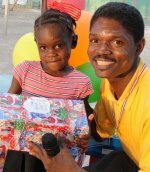 A great BIG thank to the children of Barbados who have supported us in our shoebox project. 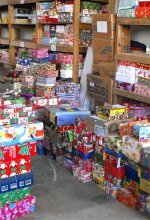 Thanks to the many volunteers that donated their valued time to enable us meet the deadline and get the container to Haiti. 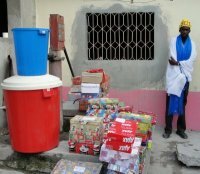 During the earthquake the Sawyer PointOne Community water filters were distibuted alongside the Make Jesus Smile shoeboxes all around Hait into schools, churches and orphanages. 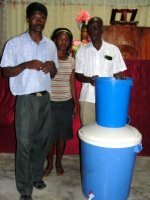 Seen here one of the Sawyer PointOne Community Water Filter Units at a Church of God school in Les Cayes donated by Special Treasures. 1. 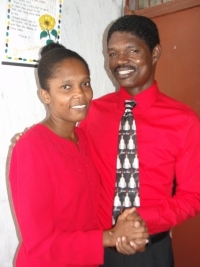 Meeting the Spiritual and physical needs of children in Haiti starting in the Les Cayes area..
2. To fight and eradicate poverty from the marginalized and disadvantaged children and their families through establishment of micro and macro income generating activities. 4. 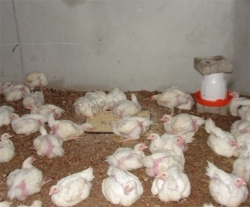 To train youth in animal husbandry and agricultural enterprise. 5.To strengthen and improve the quality of life, of children and attain economic self reliance through sustainability initiatives and vocational training. 2. Community mobilization and sensitization of the people to actively participate in the various projects. In particular to encourage farmers to voluntarily form small farmer groups/associations and societies based on the interest they themselves have in each enterprise including the Moringa pilot project. 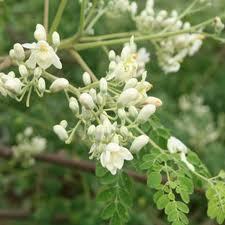 By establishing Moringa and Fruit Nurseries in St Marc and Les Cayes. 4. Train farmers to acquire more efficient management skills in agricultural production, harvesting, storage, processing and marketing. 5. 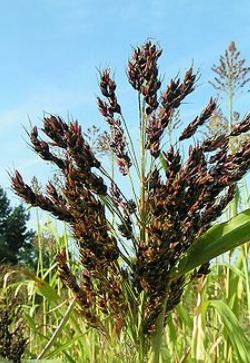 Providing improved varieties of planting materials and breeds of animals that are quick maturing and high yielding under average systems of management. 6. Help farmers to objectively focus on the needs of the family and the demands of the market and promote high value market-oriented crops and animals. 7. Improve the organizational, managerial, and financial capacities of local groups so as to effectively compete in local and regional markets. Special Treasures Foundation proposes in the future to start large scale commercial Aquaponics project. We have undertaken to examine the financial, economic and social implications and requirements to fulfill this venture. For any enterprise to succeed, proper and efficient management is essential in order to realize good returns on investment. Fish farming is a very labour-intensive enterprise. For maximum production, efficient labour is required on daily basis. Therefore close supervision is necessary. Feeding, watering, cleaning and sanitation, observation of diseases and disorders, collection of products for market and arranging an efficient system of sales must be well coordinated by a qualified manager.. Integrated fish farming is attractive to small-scale farmers under pressure to produce higher-value crops, as well as to communities seeking to augment food production and income. With this in mind a small scale chicken and pig farm will be integrated into the Aquaponics program. This Sustainable Haitian Integrated Food Training Program (SHIFT) will be an example to teach the people within the community including the children in the orphanage about improved food security and improved nutrition. Successful farms have more than one enterprise. We will be encouraging a mixed farming enterprise to improve cash flow and reduce financial and business risk. The entire operation will be a model of ecologically sustainable agriculture. We will endeavor to grow crops organically using only natural fertilizer from the chicken and pig farm. Reclaimed water is used whenever possible. 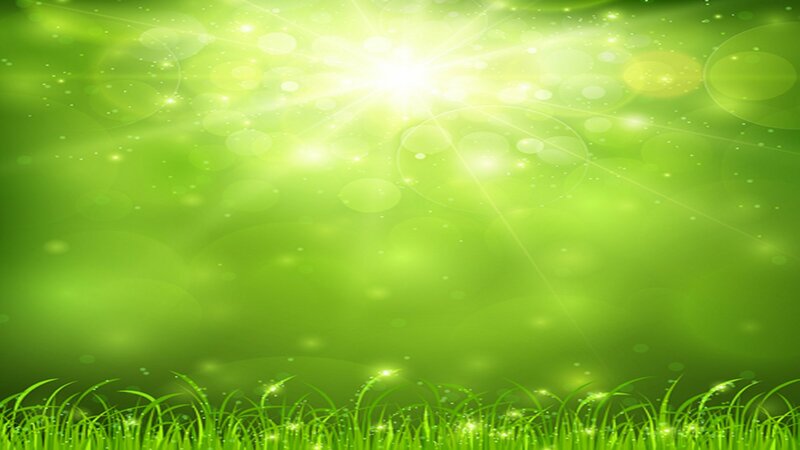 We want our SHIFT Project to be ecologically friendly and sustainable. 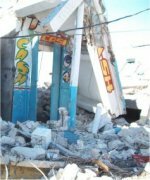 Target Population: Les Cayes in the south west peninsula of Haiti. It is also an exceptional place for fishing. Aquaponics is a technology that combines aquaculture (fish farming) with hydroponics (growing plants without soil). 1. Fish farms have a problem with waste disposal because the fish constantly excrete ammonia into the water. Ammonia is an irritating chemical that most of us associate with window cleaners. The usual way to remove ammonia from water is to filter or discard the wastewater periodically to prevent the toxic waste products from building up and killing the fish. 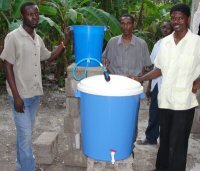 However in Haiti, filters are expensive and water is often a precious resource. 2. 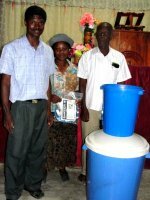 Hydroponics requires farmers to purchase expensive fertilizer which is a challenge in Haiti. In an aquaponics system both of these problems are solved. The water is treated with beneficial bacteria that constantly converts the toxic ammonia into a natural plant fertilizer. The water is then circulated between plant growing beds and the fish tanks. This allows the fish to provide food for plants and the plants to purify water for the fish tanks. This creates a natural ecosystem where both plants and fish thrive. Although the practices of fish farming and soil-less plant culture have been traced to ancient times, the combination of the two is quite new and we believe can solve the problems associated with normal fish farming. Hydroponics is a method of growing plants using mineral nutrient solutions, in water, without soil. The Fish Farm in conjunction with poultry farming. Long term UCT plans to establish a large production plant the droppings of birds from a 500 Poultry Layer Project can be utilized to fertilize the pond. Poultry litter recycled into fish pond produces 4,500 – 5,000kg fish per hectare pond per year. The poultry litter is applied to the pond in daily doses of a rate of 40 – 50 kg per hectare. The application of litter may be deferred during the days when algai blooms appear in the pond. A small layers pen will be built next to the Pilot Aquaponics project housing just 15 birds. This will be used to provide eggs for the family in charge of the project and the surrounding neighbours. Three 800 gal tanks will be used in this Pilot project providing 480 fish for the local orphanages and feeding programmes. Managerial, Marketing, Sales and Accounting skills. It will also act as a demonstration project for the youth in the Les Cayes district where UCT hopes to start a PowerPlay Chid Care Pilot Project in the near future including a Poultry Project. The organic manure will also fuel the BioGas production plants that will be housed close to the project as well as service the fish farm Aquaculture. 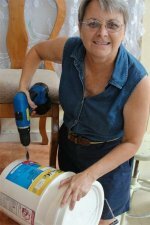 In the Dominican Republic, research compared the fresh foliage of cassava with that from sweet potato, as the only source of protein and fibre in a liquid diet of molasses-urea for fattening pigs and cattle. Growth rates on the cassava foliage treatment were over 800 g day/day and were not improved when 400 g/day of additional soya bean meal was given. By contrast, growth rates on the sweet potato treatment were significantly less than on cassava and were significantly improved when soya bean meal was given. 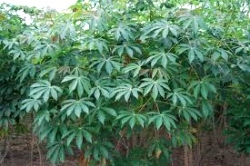 It was concluded that the cassava foliage was a better source of "bypass" protein than sweet potato foliage. Cassava foliage has been made into “hay” in places like Thailand and used successfully as a source of bypass protein for dairy cattle. Deforestation in Haiti is a severe environmental problem. In 1923, over 60% of Haiti's land was forested; by 2006, less than 2% was. The most direct effect of deforestation is soil erosion. An estimated 15,000 acres (61 km2) of topsoil are washed away each year, with erosion also damaging other productive infrastructure such as dams, irrigation systems, roads, and coastal marine ecosystems. Soil erosion also lowers the productivity of the land, worsens droughts, and eventually leads to desertification, all of which increase the pressure on the remaining land and trees. The utilisation of Moriculture, the cultivation of mulberry trees to reclaim arid land and prevent slippage, has been well documented over the centuries. Moriculture has been used to promote afforestation and thereby erosion control in damaged or arid areas. 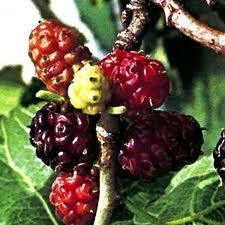 Slope reclamation solutions abound with the use of mulberry which has a positive impact on the natural resource base. Historically, silk has formed the sustainable basis of the grassroots economy of the People's Republic of China for over 5,000 years. 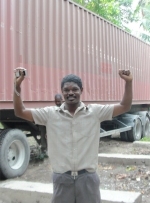 Regionally sericulture was also practiced in Trinidad until Methane technology took precedence. Sericulture is also practiced on a very small scale in Guyana while peace silk is reared in the Dominican Republic by an Origon based cooperative. Barbados joined 200 plus years ago. This tactile textile which has financed wars and influenced peace, provides a baseline for an international high standard of living, is regarded as an excellent alternative to agro-sustainability and provides jobs and quality lifestyle enhancements. UCT is looking to work in association with Mulburry Patch Inc to introduce sericulture into Haiti as part of our Gender Initiative. These numbers are particularly astounding; considering this nutrition is available when other food sources may be scarce. Scientific research confirms that these humble leaves are a powerhouse of nutritional value. Gram for gram, Moringa leaves contain: SEVEN times the vitamin C in oranges, FOUR times the Calcium in milk, FOUR times the vitamin A in carrots, TWO times the protein in milk and THREE times the Potassium in bananas.